Ruchi Rai, who went through physical, emotional, mental, and financial devastation following two horrendous and life-interrupting car accidents, an unexpected layoff, and an investment scam – “mentally-splintered, regrouped, and then went on to nail the scam and come out the other side talking about it in a candid confessional style” (pp.Rochelle Potkar) in her iPhone journal, “A Conscious Peace” is in conversation with Vijay Menon. Ruchi’s journal is phenomenally written with a great degree of lucidity. A Conscious Peace takes readers through the full gamut of emotions. One marvels at the resilience of the author in the face of misfortune, as well as her subsequent recovery and decision to publish such an intimate look into her thoughts. Upon first read, several traits become clear. First, Ruchi is incredibly family-oriented. Even in her point of crisis, her first thoughts are centered upon getting her son picked up from school. In her most downtrodden state, she adamantly rejects her psychologists’ belief that she could be suicidal because she implicitly understands the gravity of leaving behind such an irreplaceable void for her family. She heaps so much praise upon her son and her husband but spends so little time acknowledging her extraordinary devotion to them throughout a time where she could be forgiven for thinking only of herself. Nonetheless, it is clear that her love for family is reciprocated. The example of her son switching off Tokyo Drift when she enters the room points to a commendable maturity beyond his years. Moreover, Ruchi is a woman of exceedingly high integrity. This shows in her professionalism in handling her abrupt dismissal from the school she taught at — and her subsequent pledge to teach her students until year-end for free. And, of course, it is clearly evident in her dogged and ultimately successful quest to take down a real estate scammer who pilfers her money following her accident. Ruchi’s persistence in taking grassroots advocacy into her own hands even in the face of consistent rejection is heartening. It is refreshing to hear her altruistically acknowledge that she is willing to forfeit the potential of recovering her finances in the interest of saving others from being scammed. Quite frankly, though, I am more captivated by her insistence on bringing down this scammer only by virtue of doing her own research. On multiple occasions she references that there is a distinction between her acting on information she has received from him versus acting on information that is publicly available for her to organically requisition. Presumably, she would feel some degree of guilt over “backstabbing” or “sabotaging” the very same scammer who has smilingly done the same to her. This revelation speaks highly to her intrinsic moral fiber and character. Throughout her journal, Ruchi is incredibly open about her vulnerabilities and insecurities. I imagine this is incredibly hard to do. Some, such as the fear of driving, are more apparent. Nonetheless, her depiction of a panic attack where she finds herself unable to pull to the shoulder for safety due to the fear of switching lanes adds color to her struggle. Other details are more eye-opening; instances you would not think about if you have not been through a traumatic experience. She readily admits to her fear of an enclosed MRI and the vivid trauma of hearing the sound of shattered glass. By disclosing these fears, she helps others be more empathetic as well. Readers may not also stop to think about the other issues she had to deal with — the depositions, and callousness of the insurance agencies, and the feeling of wanting to disappear, escape, and dress “lazily.” It almost makes the excruciating physical pain she went through feel secondary. You begin to realize that the journey doesn’t end with the accident – it is only the beginning of a journey to overcome. Finally, this journal demonstrates Ruchi’s arguably most laudatory trait – that of forgiveness. Over and over she reiterates her feelings of goodwill and even empathy for the driver who hit her and for the paramedic who injured her liver. It is clear that she has chosen not to live with pent-up — albeit righteous — feelings of indignation. And moreover, she sticks firmly to this feeling even when her psychologist urges her to devolve into feelings of anger and blame. Ruchi teaches the importance of kindness. Little acts go a long way, and it’s clear in her descriptions of remembering Mike and the others who helped her that day and beyond. The essence of the book lies in her section on rediscovering herself. At the end of her journey, she comes to the realization that self worth comes from within. Amidst all the lessons, this is the ultimate takeaway of A Conscious Peace. Ruchi has defined what is important in her life — family and happiness — and she refuses to let anything else get in the way of that. Vijay Menon: The timeline at the beginning of your journal lists 4 events in a span of 14 moths: a car accident, a layoff, an investment scam, and another car accident. You went through so many devastating experiences in a short span of time. Where does recovery begin? How does one choose a direction? Ruchi Rai: Recovery begins with a simple decision – to be or not to be a victim. That decision becomes the driving force which fuels one forward. And it is our value system that determines the direction – our character chalks out our path. VM: In Part II, you exemplify integrity and incredible character as you take up “cudgels” to save others from falling victim to the scam artist who swindled your family out of all its money. How did you choose the path? What drove you on? RR: The temptation to simply focus on getting our own money back was great. But the need to stop this outrageous scam compelled me to do exactly the opposite. I could see proof that others were falling victim – by the dozen – on a daily basis. The choice was between turning a blind eye and simply work on getting back our own money over a period of time, or saving others from being scammed. That decision was an easy one to make, and the energy to act upon it was off the charts. VM: Part III is about finding yourself. You have ended that section with saying that you to “reinvent and then reinstate” yourself. Could you elaborate on that? RR: It has been a time of self-search and realization. We are the ones who cast ourselves into roles or allow ourselves to be typecast. Whether we live these passively or liberate ourselves is a choice only we can make and act upon. It is up to us: to examine our being, to question our beliefs, to break the mold, to create space, and to find – within ourselves – the conviction to bring about the change we desire, organically. VM: How much responsibility should one take for one’s life and destiny? RR: Fate can only deal out the cards to us. We are the ones who own them, and we who have to take full responsibility. How we choose to play each one of them is our decision, and it is through these decisions that we chisel our destiny. VM: From where do your motivation, your inspiration, and your strength stem? RR: From my family, my husband, my son, and our little dog. They watch out for every breath in me. 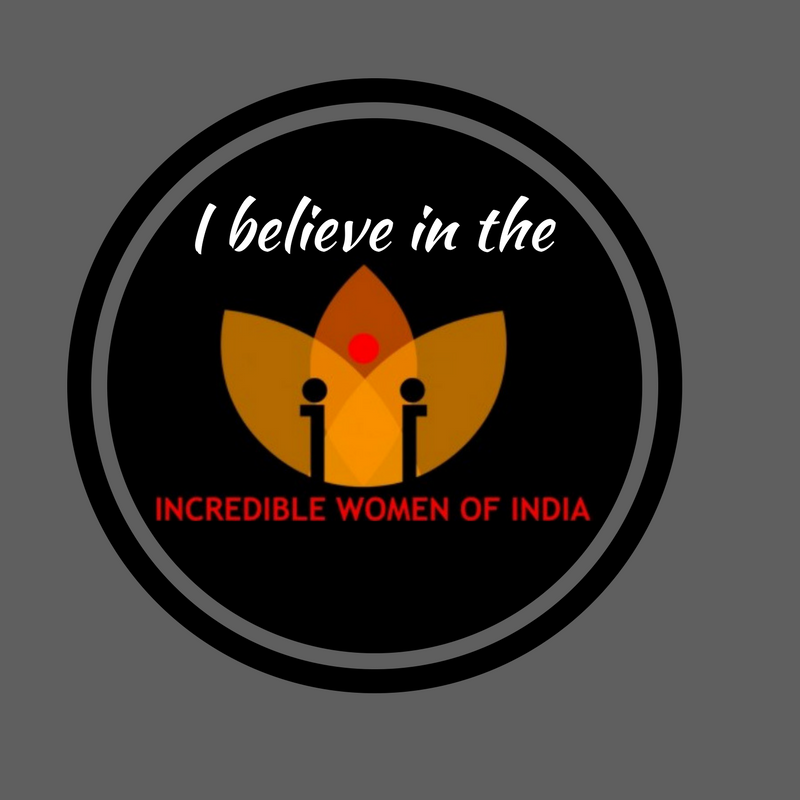 VM: I am interviewing you for “Incredible Women of India”. Do you feel incredible? RR: Not at all! I feel liberated. That is a pretty incredible feeling. VM: The title of your journal, “A Conscious Peace” is a very thought provoking one. How did you choose it? RR: When I decided to publish my journal and looked critically at the pieces I wanted to share, I noticed that they had a common pivot. Every step in my journey had required a decision on my part, and it was the quest for peace that had been my conscious choice, every time. “A Conscious Peace” embodies the essence of my journey and my mind. VM: Tell us something about yourself? VM: In Part IV, you talk so openly and honestly about where you are today. You have come a long way after having been through so much. Do you have anything to say to our readers? RR: Live life consciously. Take full responsibility for it because it’s yours and, take complete ownership of it because, again, it is yours. To Know more about Ruchi’s book and her incredible journey click on the link below. Vijay is a statistician, a writer, and a backpacker. Before graduating from Duke, he visited over 35 countries, spent two summers working in the tech industry at Microsoft, dabbled in NBA analytics, became 106 & Park’s Livest Fan, and was published in the Economist’s letters. Currently, he is working in Seattle as a product manager for Xbox.